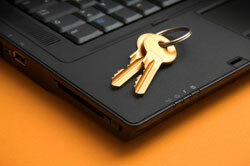 Security isn't just an issue for Windows PCs. Smartphones, tablets and Macs are also vulnerable to attack, which means you should have security protection on every Internet-connected device you own. Even though cyber criminals, malware creators and scammers are serious about wreaking havoc with your computers and devices, the good news is there is an abundance of excellent security solutions available. The best of this year's crop of security software goes beyond the basics, helping you avoid bad links on social networking sites, keeping your kids safe with more parental controls and providing more coverage for your mobile devices. Learn more about the basics of securing your devices or skip directly to our picks. There are three basic components necessary to any comprehensive security setup—anti-virus, firewall, and anti-malware (including spyware). Anti-virus software is often the center-piece of any security suite. Good anti-virus software will run regular scans to see if any viruses have loaded themselves on your computer, and they'll provide active protection by checking each and every file as you download or open it. All quality packages will also monitor programs for suspicious behavior in order to block potential threats, even those that have yet to been confirmed as viruses. A firewall is a filter that controls the flow of data to and from your PC and the Internet. It is able to block hackers from breaking into your PC and stop rogue programs from reaching out to their creators and handing over your personal information or downloading more malware. There are plenty of threats out there that don't fall under the guise of viruses and other infections normally caught by anti-virus software. These invaders, which go by various names including spyware or adware, used to need their own dedicated tool to root them out, but these capabilities are being folded into traditional anti-virus tools. Unlike viruses, spyware and its companions primarily use your browser as the entry point and are often used to steal passwords and credit card information, or serve up endless streams of annoying pop-up ads. While most security suites include malware protection, stand-alone tools, such as Ad-Aware and Malwarebytes Anti-Malware, offer excellent protection as well. Do You Need Security Software if You Own a Mac? Short answer—yes. While Apple (and its acolytes) like to extol the virtues of living in a virus and spyware free universe thanks to OS X, the truth is Macs aren't invincible. While there are still far fewer threats out there targeting Apple users, they do exist. And as OS X becomes more popular, the amount of malware is growing to prey upon complacent users. Also, many security threats are caused by “phishing” for personal information through email and bogus websites. Security software suites have features that identify potentially dangerous sites before you enter personal information. Windows computers create all new user accounts as "normal" users instead of administrators. Normal users can install software and make changes to settings, but they must confirm the changes by clicking through a prompt that is isolated from other programs and therefore cannot be manipulated by malware. OS X and Linux user accounts are, by default, created as non-administrators. The administrator account, known as Root, is actually turned off in OS X. Instead these operating systems rely on temporarily granting administrative privileges on a per-use basis. Regardless of what operating system you run though, you should never do your day-to-day computing from an administrator account. What's the Difference Between Free and Paid Security Software? There are, of course, free software packages that provide essential security tools such as anti-virus, anti-malware, and firewall, such as Microsoft Security Essentials and Comodo Firewall. The problem is that no one offers all those tools together in one easy-to-use package without charging you an annual subscription fee. So, while you could cobble together a decent defense for free, it's often faster and easier to pay for one of the many commercial suites of Internet security software. In addition to the simplicity of having all the various pieces of security software integrated, for-pay products tend to have advanced features, such as parental controls, password safes, or file encryption, that aren't essential but can enhance the security of your PC. Using a combination of free apps (or a mix of free and commercial software) does have its perks however. The integrated suites can be vulnerable to viruses and attacks that can shut down all your computer’s defenses in one shot—something much more difficult to accomplish with separate security programs. Unfortunately some free programs will try to install unnecessary browser toolbars (which you can opt out of during installation), and many free versions of apps will repeatedly ask you to upgrade to the paid versions. Do You Need Parental Controls? Both Windows and OS X have built in parental control features, but they're very basic. The controls built into security suites tend to be much more robust and customizable. You can block certain programs from running during particular times of the day, or to run only for a set amount of time. You can also quickly block or unblock Web sites as the need arises in a much simpler fashion than the built-in features of your OS. Many security suites also monitor what children are doing on social networks and with whom they’re interacting. Rogue security applications masquerade as real virus or spyware-protection programs for the sole purpose of separating you from your money. At best, the programs do nothing; you simply lose however much money you paid for what is, essentially, worthless junk. At worst, these programs can track your keystrokes and steal your personal information from your PC. Perpetrators of rogue security software scams use a wide variety of methods to fool potential victims. One very common method is to pop up a flashing or other frightening message when you visit a website that tells you "Your PC is infected with a virus. Click here to fix." If you click on the ad, you may be authorizing it to download the malicious software to your computer and, once installed, you will keep getting messages about viruses, spyware, etc. on your PC that can only by fixed by buying the "premium" version of the product. Of course, there are no viruses on your PC except for the rogue security program itself. All the security software in world can't save you from poor judgment. The Web is littered with threats that count on people who are naïve or careless—don’t be one of them. In fact, good browsing habits are your best defense against malicious code sneaking past your security suite. This means not logging into online banking sites or shopping while using public Wi-Fi networks, being suspicious of things like Facebook apps (especially those that promise free goods for filling out surveys) and only downloading files from trusted sources. Also don’t trust an email from a financial institution that asks for your password, bank account number, credit card number or other sensitive information—bad guys can be very good at creating emails with links to websites that look just like Citibank or PayPal. And remember, if it’s too good to be true, it’s a scam, like this one: “my roomates [sic] aunt makes $83/hr on the laptop. She has been without work for 8 months but last month her pay was $8682 just working on the laptop for a few hours. Read more on this site [URL].” It’s a lie. 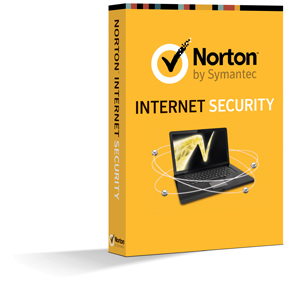 In addition to five layers of protection and a new “Intelligent Firewall” which tracks IP address reputation in addition to file, URL and domain reputations, Norton Internet Security 2013 ($33.90 for 3 PCs, amazon.com ) monitors email and instant messages and has an identity safe that remembers, secures, and automatically enters your user names and passwords when you visit websites. It also scans your Facebook news feed for dangerous links and protects you from scams by reviewing a website’s reputation and letting you know if it’s safe to enter your personal information there. The suite supports Microsoft Windows 8, 7, Vista and XP. It also has parental controls that track which websites children visit, let you to block inappropriate sites and keep an eye on their social network activities and who they’re chatting with online. In addition to powerful antivirus protection and a two-way firewall, Bitdefender Total Protection 2013 ($57.99 for 3 PCs, amazon.com ) comes with Bitdefender Safepay, which activates automatically when you access your bank accounts, creates an unbreachable connection on public hotspots, and includes a virtual keyboard so no one else can read your keystrokes. It also has an anti-theft feature that lets you lock, wipe and locate a laptop or netbook if it’s lost or stolen. And parental controls are included—they let you remotely monitor your children's online activities (including Facebook through an integrated Facebook app), restrict web access to certain hours, and more. Other features include social network protection that filters links and monitors your privacy settings, antiphishing protection that blocks scamming websites, USB protection that prevents malware from entering or leaving flash drives, and Bitdefender Safebox, which give you 2GB of free online protection and storage of important or sensitive files that you can access from iOS or Android devices, a Kindle Fire or a PC. Bitdefender says the 2013 edition was designed from the ground up for Windows 8, but it also works with older Windows operating systems, as well. This edition ($59.99 for 3 computers or devices, amazon.com ) is less than 750Kb in size and performs full scans in just a few minutes instead of a half an hour or more, which is standard. The reason it can be so small is because if you’re connected to the Internet it compares file attributes with its cloud database to block threats in real time. If you’re working offline it blocks any files that have not been previously verified in the cloud. It includes a built-in firewall, password protection and seven specialized security shields, including a USB shield that blocks suspicious programs on removable drives, and offline shield that blocks the execution of files that haven’t been verified by its cloud database and a “Zero Day” shield that sniffs out and blocks new threats even if it hasn’t seen them before. What’s particularly nice about Webroot SecureAnywhere is that it’s compatible across operating systems and with one subscription works with Windows 8 (and older Windows operating systems), Mac OS X, Android and Apple’s iOS. Its Mac protection includes both antivirus and antispyware capabilities along with Webroot's Web Threat Shield and Safari browser extension that prevents users from clicking on a malicious link. 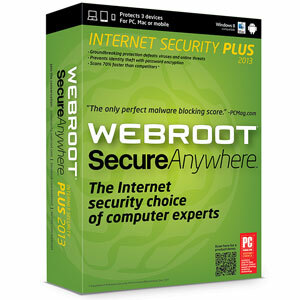 On the downside, Webroot SecureAnywhere does not include parental controls. In the event your laptop was stolen would a thief be able to harm you because of the data it contains? Even if you don’t tote around sensitive financial or business information your personal information can also be used by hackers who can sell it to identity thieves, crime rings, phishing scammers and botnet operators. TrueCrypt is free open-source disk encryption software for Windows, Mac and Linux that makes it nearly impossible for anyone without your password to get into your computer. Installing it can seem confusing for average computer users but once it’s set up TrueCrypt won’t let your operating system launch unless you input a secure password. For a step-by-step tutorial on how to do install it, look here. Not only do you want to make sure a thief can’t harvest your personal or business information, wouldn’t it be great to get your laptop back in the event it’s stolen? Several good services are available for Windows and Mac to do it. For only $20 a year GadgetTrak pinpoints the location of your laptop and then secretly snaps photos of the thief, which you can share with police. LoJack by Absolute Software, which starts at $40 a year, is another option. After reporting the laptop missing, you can either lock the computer so that it only displays a message of your choice, or you can deploy Absolute’s Theft Recovery Team which will track it down with the help of police. Anti-Virus Free (available in Google Play) and the Pro version ($9.99 in Google Play) are both put out by AVG Mobilation and make it easy to scan your apps, settings, content and media for malware with just one tap of your Android device’s screen. The Pro version is handy if you don’t want someone getting into your text messages, Facebook or other apps—it lets you lock them down individually with a password. You can also register your phone with an anti-theft service that will locate it as well as wipe and lock it if it gets stolen. We also recommend Lookout Mobile Security (Free in Google Play), which also has robust phone location and anti-theft protection. As of this writing there are no good security apps in the Windows Phone Store, but the good news is the Windows Phone ecosystem is generally considered to be more safe than Android’s, where you definitely need to be more careful. While many Android security apps can locate a lost or stolen phone, Windows Phones can do it all on their own, plus ring, lock, and erase the device. While it’s true iOS is also safer than Android, the Apple ecosystem does have problems too. While malware has crept in there, the biggest thing you need to watch out for are fake apps in the App Store that are really only ads for paid versions, or paid apps that completely rip off legitimate apps but don’t have much functionality. For this reason, never download an iOS app with a one or two-star rating. And while there are security apps such as Lookout (free in iTunes) that can locate your lost device, Apple’s Find my iPhone does that all on its own. To safely browse the Internet on your mobile Apple device, try Trend Micro’s free Smart Surfing app, which uses web reputation technology to warn you if you’re trying to visit a site with malicious code. It lets you adjust the app’s protection strength to allow only sites with a very good reputation, or to only block sites with a very poor reputation. Security experts tell people to never keep a list of passwords or PINs in one place because if your system is compromised hackers can gain access to all your accounts in one fell swoop. SplashID is an app available for iOS ($7.99), Android ($9.99), Windows Phone ($9.99), BlackBerry ($9.99), PC and Mac ($19.95) that uses 256-bit Blowfish encryption to protect a password vault where you can keep all your usernames, passwords, credit card numbers, bank accounts, PINs and frequent flyer numbers. It also will generate and remember random secure passwords. Even if your device is lost or stolen someone else will not be able to get in unless they know your master password or pattern. You also can sync data between your mobile device and your desktop computer. A good free option is Norton Identity Safe for Windows, iOS and Android. I would never use Norton. I would never use Norton. When I had it, I had nothing but problems with it. I think Kaspersky is extremely good, but it slows down my computer a lot. I guess I’ll be using Bitdefender when my current subscription expires. Thanks for the suggestions. I installed the brand new version of Norton and my poor computer contracted a virus that fried the motherboard and all its components. I have the free Avast! and it does a better job of blocking viruses and Trojans than the $59 Norton. I highly doubt a virus was responsible for frying your computer. First of all, it’s hard to imagine how a virus would even do that, other than perhaps shutting down your fan and running your processor at full tilt. And the virus would likely need to be written specifically for your computer’s brand and model to do that. Far more likely is that you had a power surge, your fan went out on its own and the PC overheated or something else shorted out the components. I have had Vipre for the last 3 years. I love it and the people I talk to are American. Does not slow things down like Norton did. NORTON?!?? No thanks, I’d rather not have a computer that would lose to a snail in a race. Bitdefender I can get behind, I currently use Vipre though. For all those commenting on Norton impacting PC performance, you’re right, Norton used to be a real resource hog. But those days are long past. The current versions of Norton (as of at least the last few years) are designed to run in the background and have no/minimal impact on your computer’s speed. Both our own usage and third-party testing demonstrates that to be the case. Similarly, with Kaspersky (also an excellent program). I make use of Immunet antivirus and satisfied with the performance. It offers real time protection and all round support has been of great importance. Also installed a parental control app! I’ve had Avast for a long time but recently, on the recommendation of a friend, I also installed a parental control app called Qustodio. She suggested that I should monitor the activities of my son using it so that he steers clear of the dangers of the web. So an anti virus and a parental control app are now mandatory. Just wondering what’s next! By the way, just Google for more info. on it. I checked with my brother (a computer tech) re Bitdefender and he said to check with Amazon.com and read the reviews - 19 good and 11 bad. That isn’t good when the bad are almost the same number as the good. Had problems with Norton so switched to CA and am now having problems with it. What does your brother think of Kaspersky? I love it. It just slows down my computer. Generally, we highly recommend using Amazon reviews to check out products before you buy them. However, when it comes to anti-malware software, we suggest you take those reviews with a big grain of salt. The problem is that most consumers are simply not qualified to evaluate whether their anti-malware program is working effectively (this is something anti-virus testing labs are much better equipped to do) nor to diagnose whether issues on their PCs (e.g., slow downs) are being caused by anti-malware software or are a result of other problems. All of the products on our recommended list have recent high ratings from at least one well-regarded testing lab, minimal impact on system performance, have a broad range of features and are easy to use. If you find that you’re having problems with more than one anti-malware program, there’s a good chance the issue isn’t with the software, but something else on your PC. If you can provide a few more details about what’s going on, perhaps I can point you in the right direction. On the recommendation of someone who knows computers, I installed Google Chrome. It slowed down my old computer (Dell Dimention 4600) and caused other problems such as not being able to send emails and repeatedly recovering tabs. I uninstalled Chrome hoping to resolve these problems, but although no longer in my computer, they still exist. This is on my Hotmail account and I hope it has not affected any of my other email accounts. I have Mcafee through AT&T for free and want to know what kind of security this suite holds. Is it a good one to have?? I have had it for several years and have never had a problem and their tech support is the greatest. But, I never hear anything about it. Can anyone tell me who makes this and if it is “up” there with Norton and the other “good” ones? One good thing I do like about McAfee is that when you get on a site that something is fishy about, it stops you with a big red “do not go there” sign and tells you why. 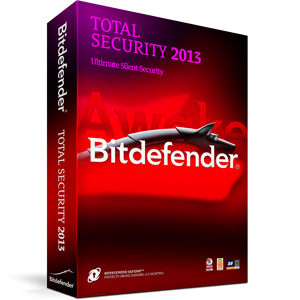 I use Bitdefender Total Security Suite. Here is a link with a $50 off coupon. It is very lightweight, hardly even know its running. It’s not free but for $29 you can’t go wrong. I’ve used Norton and McAfee both. Personally disliked both, but AVG’s free package has always been great protection. Even paying for Anti-virus doesn’t always keep you safe. Even some of the one’s that claim they are free aren’t so beware. Do lots of research first, be wary some will endorse a product because they get kickbacks. Read carefully then make your selection. I’ve tried Norton in the past and in my humble opinion its really worthless, it comes with alot of problems and system crashes. Lately I’ve been using microsoft security essentials and would say its good although not excellent, it does what it should and very less system memory needed. And other free packages like AVG free is great but the advertisements is a bit of annoying. You have to be very careful about extrapolating your past experiences with antivirus programs onto the present. The universe of products has changed significantly over the years, with some getting far better and some getting far worse. Independent testing labs currently rate Norton very highly for malware protection (much better than Security Essentials). Norton also uses very little system resources (about 10MB of memory on my machine and essentially no CPU). And unlike the old XP days, system crashes (from Norton or other programs) are largely a thing of this past. But Norton is not the only good product out there, and many of the free services, such as AVG, perform solidly against malware, just without many of the convenience features of the paid versions. I know its pretty damn old thread, but I came from a search so I think its pretty valid even today. Just wanted to say Time has changed a lot, now even cheapest computers have 16GB+ Ram so crashing or lagging is not happening anymore.